Six months ago, Hurricane Matthew slammed into southwestern Haiti, killing hundreds and affecting 2.1 million people, 20 percent of the country’s population. Despite the extent of devastation and acute vulnerabilities among the affected population, the disaster failed to attract both the financial support and attention it deserved from the international community. At present, the emergency response phase is winding down, yet the crisis is far from over. Unable to recover their livelihoods, more than 800,000 people remain food insecure and hundreds of thousands whose homes were damaged or destroyed are living in makeshift shelters. As these essential needs remain insufficiently addressed, food insecurity and protection risks to women and children are likely to increase. With the next hurricane season two months away, coordinated advocacy and targeted resources are urgently needed to avoid a worsening of the crisis. 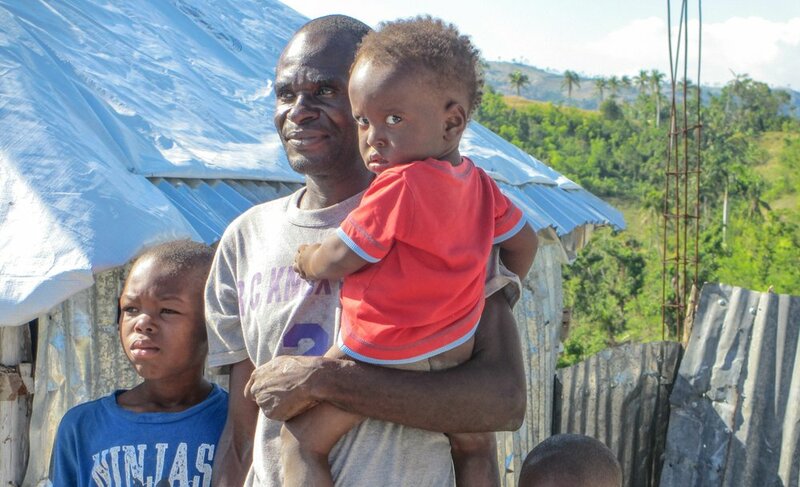 Over the longer term, the international community needs to adopt a more coherent, effective approach to building resilience among vulnerable Haitian communities as they grapple with devastating disasters and climate change. On October 4, 2016, Hurricane Matthew, a Category 4 storm, made landfall in Haiti’s southwestern peninsula, bringing with it 150 mph winds, storm surges, and between 20 and 40 inches of rain. The strongest hurricane to hit Haiti in 52 years and the third strongest storm ever to make landfall, the storm’s impacts were especially devastating due to high levels of deforestation and the underlying vulnerabilities of the impoverished rural populations it hit. The hurricane’s high winds and related flooding killed more than 600 people, displaced an estimated 175,000, and affected 2.1 million people. The hurricane also caused widespread damage to homes, roads, public infrastructure, hospitals, and schools. Most of the homes in its path could not stand the force of its impact which blew away roofs and walls, destroying an estimated 90 percent of homes in the worst hit areas. Also severely impacted were the largely agricultural and fishing livelihoods of the affected population whose crops and assets were wiped out. Of the 2.1 million people affected by the storm, 1.4 million were left in urgent need of humanitarian assistance in its wake. Damage and losses resulting from the hurricane are estimated to be US$2.8 billion, or 32 percent of the country’s GNP. With insufficient resources to respond to the emergency, the Haitian government called on the international community for assistance. In contrast to the 2010 earthquake, however, the government decided to take the lead in responding to the disaster. Rather than activating the UN’s “cluster” system (which had been deactivated in 2014), the government chose to coordinate the response through sectoral working groups chaired by its respective line ministries or government departments with international agencies providing support. In close coordination with the Haitian government and other partners, the Haiti UN Humanitarian Country Team (HCT) launched an initial funding appeal (“Flash Appeal”) on October 10, 2016, seeking US$119 million in emergency funding. On November 5, the appeal was revised to request an additional $19 million – for a total of US$139 million. Having lost everything in the hurricane, this man has resorted to making charcoal in order to buy food, leading to even greater deforestation in the area. Saint-Jean-du-Sud, Sud Department. The United Nations Office for the Coordination of Humanitarian Affairs (OCHA) and other humanitarian agencies must ensure that contingency plans are in place for the upcoming hurricane season. The Haitian government must then adopt those plans and provide for their implementation. This will require assessing which evacuation sites/collective centers are still intact and ensuring evacuation plans are in place for Hurricane Matthew-affected households that are still living in makeshift shelters and are at risk of recurrent displacement. In order to support the Haitian government to implement contingency plans, as well as to coordinate the response to the enormous outstanding humanitarian needs, OCHA should maintain the presence of experienced humanitarian staff on the ground, at least until the end of 2017. Ensuring that the Haitian National Police receive training on adherence to humanitarian law in disaster response. More durable shelter solutions for populations who remain in makeshift shelters. Government donors, led by the U.S. government, should develop a fundraising strategy for Haiti that includes hosting a donors’ conference to increase funding for the unmet humanitarian needs of the people worst-affected by Hurricane Matthew and to support longer-term recovery and resilience. The HCT should work with the Haitian government to develop a communication strategy to educate the public and the broader international community regarding the humanitarian impacts of Hurricane Matthew, including media outreach, blogs, and social media. The Haitian government, donors, and humanitarian and development actors need to develop a common understanding of and long-term approach to resilience for Haiti and ensure that it is incorporated into government plans and priorities, the UN Development Assistance Framework, and individual donor strategies. Alice Thomas and Ann Hollingsworth traveled to Port-au-Prince and hurricane-affected areas in Grand’Anse and Sud Departments in February 2017.